RIDDLE&CODE and Deloitte formed a global partnership to educate companies about how to bridge the physical/digital gap and how to best make use of RIDDLE&CODE‘s blockchain interface technologies. Together with Austria’s leading electricity company we work on enabling Blockchain-based, highly secure metering and P2P distribution solutions. This collaboration enables autonomous machine-to-machine transactions using the IOTA Tangle. RIDDLE&CODE’s blockchain-connected hardware enables a secure environment for business processes that will only allow reliable data from trusted sources. We have helped the Portuguese utility company and their subsidiary in Brazil to speed up digitalization in the solar energy sector based on blockchain while still having analog meters in the field. 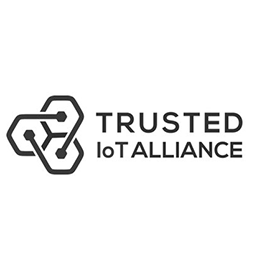 As a founding member of the Trusted IoT Alliance, RIDDLE&CODE aims at collaborating with other Blockchain solution providers and industry partners globally to speed up the proliferation of advanced Blockchain technology to industrial clients. Swiss-based Falcon Private Bank is a first-mover in blockchain banking. RIDDLE&CODE is providing Falcon with advanced and integrated blockchain hardware and software solutions. DEUTSCHE TELEKOM / their INNOVATION labs are pro-actively addressing the opportunities of the emerging blockchain market. RIDDLE&CODE and other selected project partners provide advanced and integrated blockchain hardware solutions to T-Labs. 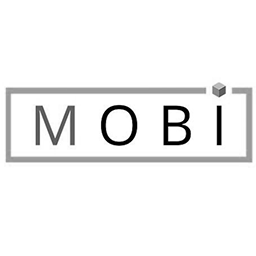 RIDDLE&CODE has joined the MOBI alliance to speed up the exchange about blockchain -based use case with the automotive industry internationally. Inter-Planetary Database (IPDB) Foundation e.V. is a German non-profit organisation focusing on research of governance models in the realization of blockchain technology. RIDDLE&CODE is a community and board member. eWINGZ is adding visibility to the aviation supply chain. They keep individual parts traceable during their life cycle. RIDDLE&CODE provides the interface between the physical parts and their digital twins. We are in the process of setting up the first blockchain-secured private LORA networks in Austria and are excited to collaborate with other companies to deploy it.